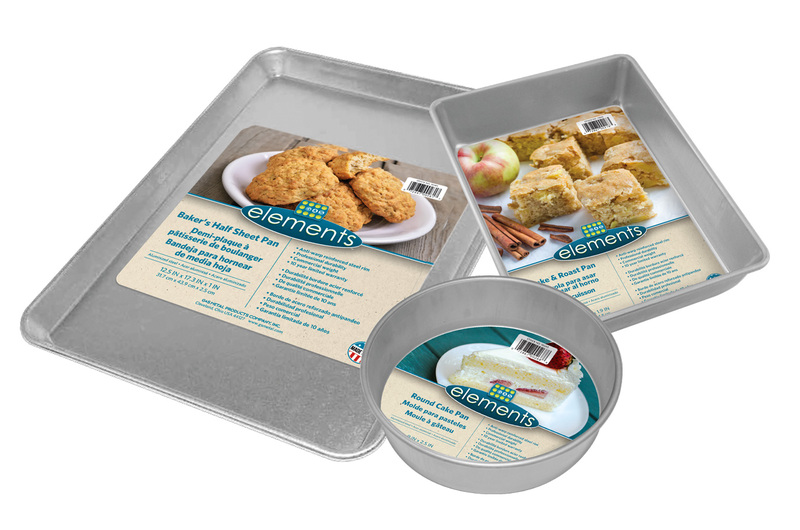 The Elements™ Bakeware line is made of commercial weight aluminized steel. Aluminized steel construction heats evenly for consistent baking results while offering a lifetime of durability. Reinforced steel rims prevent warping and allow for easy handling in and out of the oven.